Ranworth is an attractive Norfolk Broads village, with it’s thatched cottages, staithe, small shop, tearoom and church. 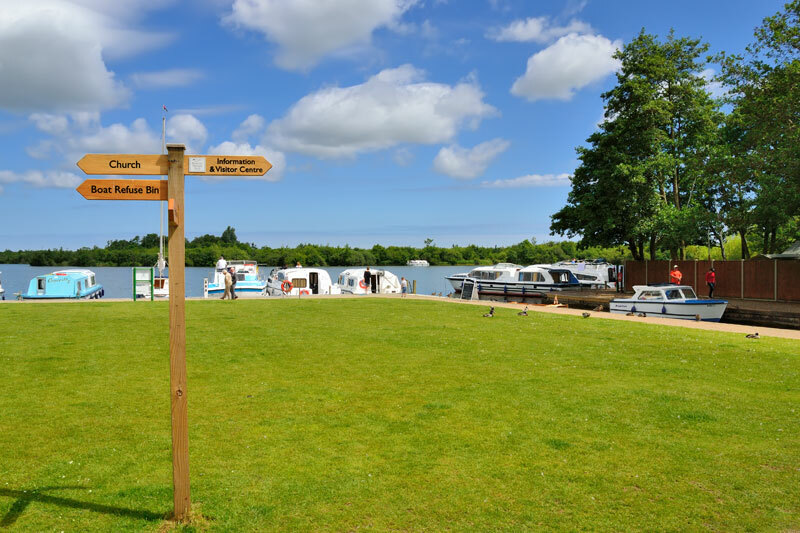 At Ranworth there are two broads to enjoy – Malthouse Broad where you can drop you mud weight and Ranworth Broad, closed to navigation but accessible by foot or ferry from Ranworth Staithe. 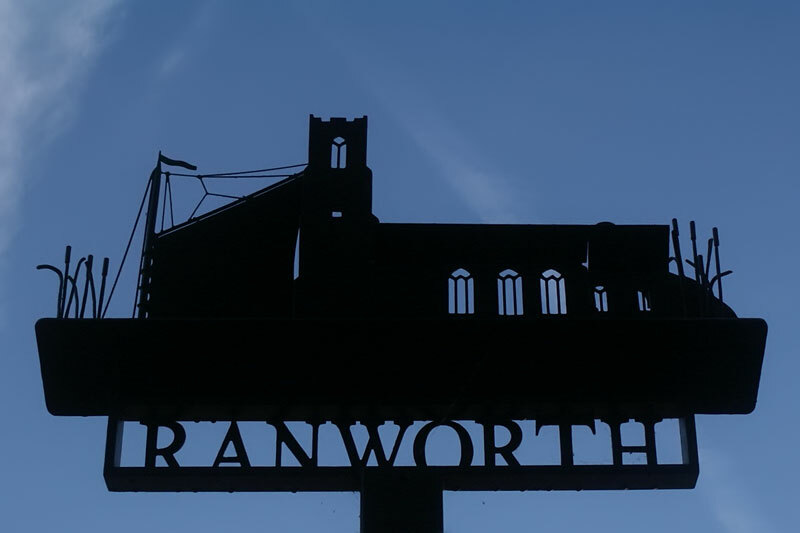 In a recent survey by the Broads Authority, Ranworth came top in the “Which three places did you enjoy the most?” section of their survey. As you head down Ranworth Dyke you cannot fail to notice the tower of Ranworth Church. On entering Malthouse Broad the wildlife centre is on the right and Ranworth Island moorings on the left. The privately owned moorings at the island are popular with families because of the large lawned area. Visitors arriving by canoe may moor outside the wildlife centre. 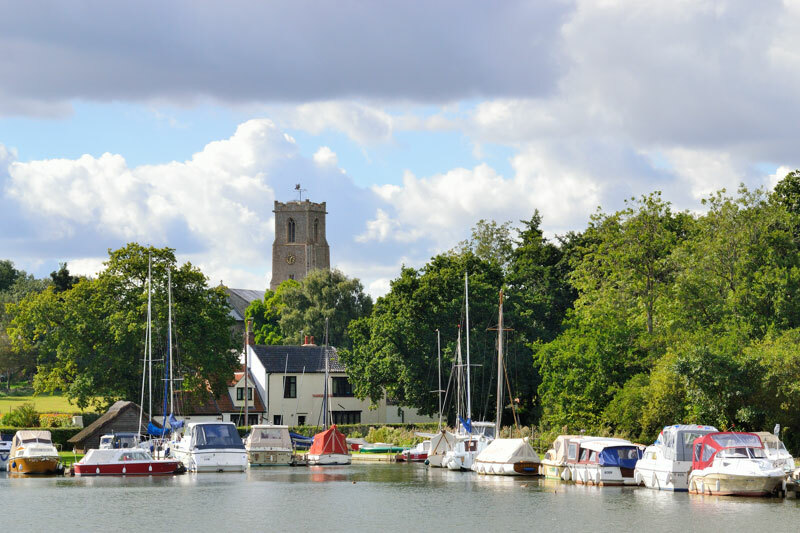 Malthouse Broad is a popular spot to drop your boats mud-weight, the broad has some sheltered inlets where you can relax and watch the bird life, all with a great view of the church. Whatever the time of day Ranworth Staithe is a popular mooring spot. The available space soon fills and boats often wait just off shore for a boat to leave. Mooring is stern-on and with the wind blowing across the staithe mooring can be tricky. There is a dyke reserved for day boats and this is where the traditional Norfolk Broads reedlighter, Helen of Ranworth leaves for the wildlife centre. Facilities include water, electric hook ups and a refuse disposal point. At the back of the staithe is the Norfolk Wildlife Trust’s Information Centre and next door at the Malthouse is the Granary Store and Coffee Shop. Behind the car park is the Maltsters Pub. Out of the many thatched cottages in Ranworth village, the one adjacent to Granary Stores on Farm Lane is probably the most attractive. If you’d like to go for a short stroll around Ranworth village then walk along Farm Lane turning right along a footpath. The footpath runs alongside South Walsham Broad, which you can glimpse through the trees and back up to Common Lane. Turn right down The Hill to return to Ranworth Staithe. 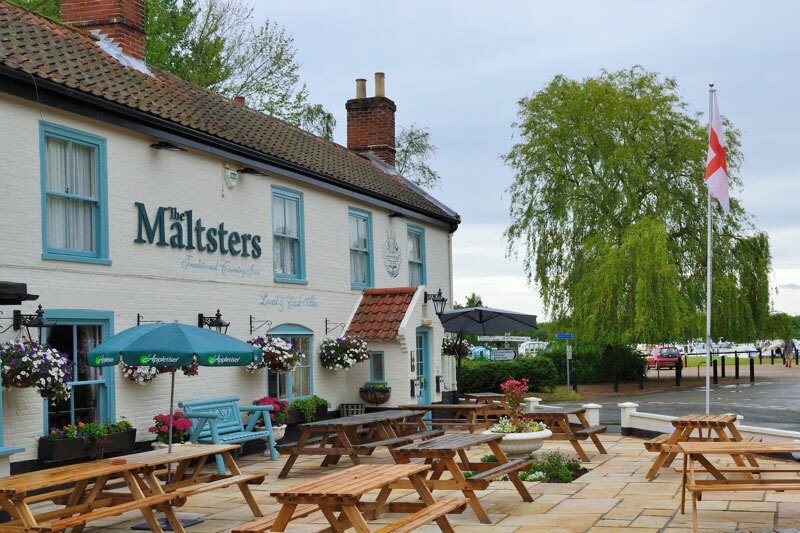 If you fancy eating out then across the road from Ranworth Staithe is The Maltsters. A modern pub recently refurbished in a modern clean style. The terrace and garden has plenty of seating with views over Ranworth Staithe to Malthouse Broad. Recent online reviews from locals and holidaymakers alike have been very favourable. Ranworth and Malthouse Broad are set within the Bure Marshes National Nature Reserve. 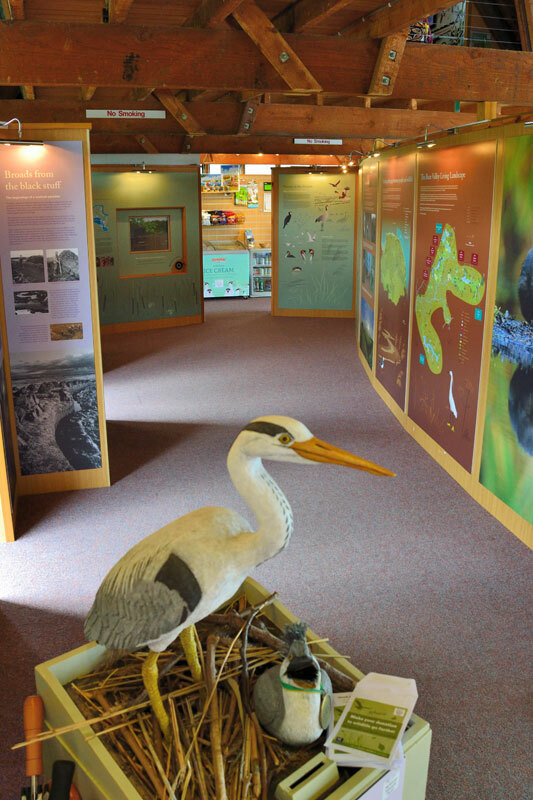 A visit to the wildlife centre with its views over Ranworth Broad is highly recommended. From Ranworth Staithe turn right then right again along Broad Road past the private moorings at The Maltings and onto the boarded walk marked by a large information point. The notice board here at the start of the boardwalk gives you an idea of what you might see along the path. 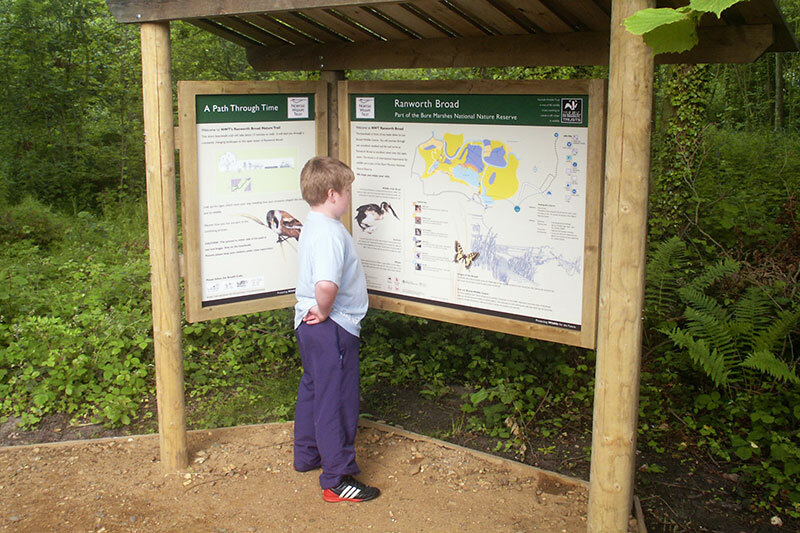 The boarded walk to the Wildlife Centre takes you through Carr woodland. Information points along the walk depict items of interest. Carr woodland is dominated by alder, sallow and birch trees, with shrubs such as guelder rose, buckthorn, and dog rose. Just before the wildlife centre an area of managed fen contrasts with the woodland earlier. Fens are waterlogged areas of land dominated by reeds, rushes and sedges. Thatched with local reed the Norfolk Wildlife Trusts centre floats on a pontoon at the edge of Ranworth Broad and houses an exhibition on the ecology of the Broads and it’s wildlife. On the upper floor there is a viewing gallery equipped with binoculars. The tower of St Helen’s church dominates this part of Broadland, it can be seen from miles around. The church has served the villagers for over 900 years. 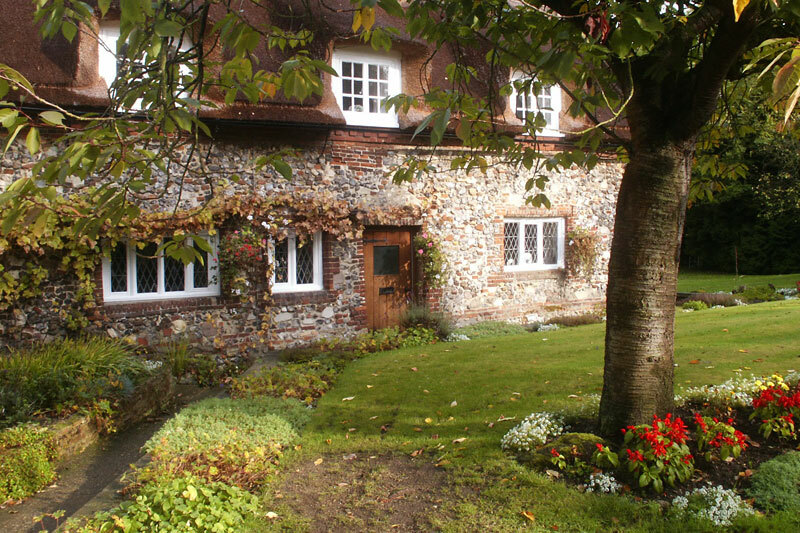 Adjacent to the church is The Visitor Centre, converted from an old coach house. 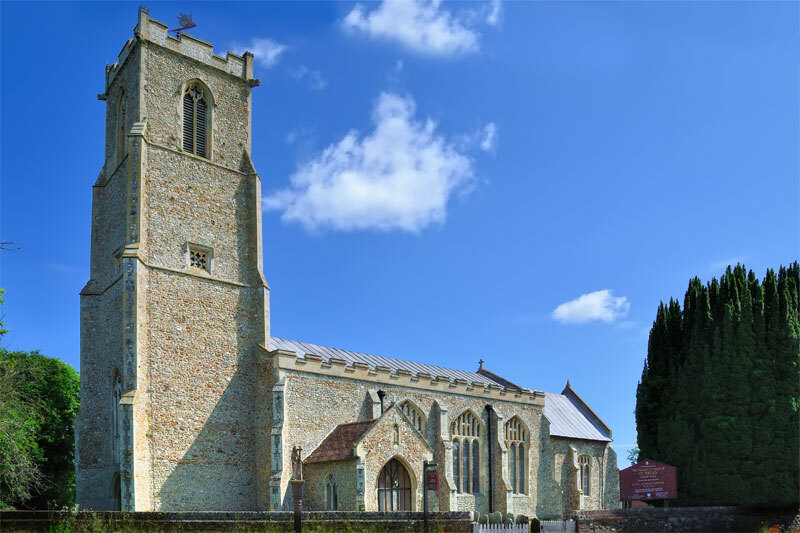 It houses a photographic display of East Anglian churches . Outside there is a terraced garden and also a section planted with aromatic flowers and shrubs for the visually impaired. Hot and cold drinks and light refreshments are available. Malthouse Broad with Ranworth Staithe visible in the centre right with Cator Moorings at the bottom left. Ranworth Staithe with Cator Moorings in the foreground. You can just make out a gentleman fishing beside the staithe. Unusually there is some space available but it will soon fill as it gets towards lunchtime. Ranworth Broad and Ranworth Dam with Ranworth Village Hall in the foreground. Ranworth Island Moorings is the place to be if you’ve struggled to get in at Ranworth Staithe. There is a fee payable to moor both for lunchtime stops and overnight. If it’s late in the evening and the staithe is full and you don’t fancy dropping the mud-weight give it a try. A cruiser turns off the River Bure onto Ranworth Dam. 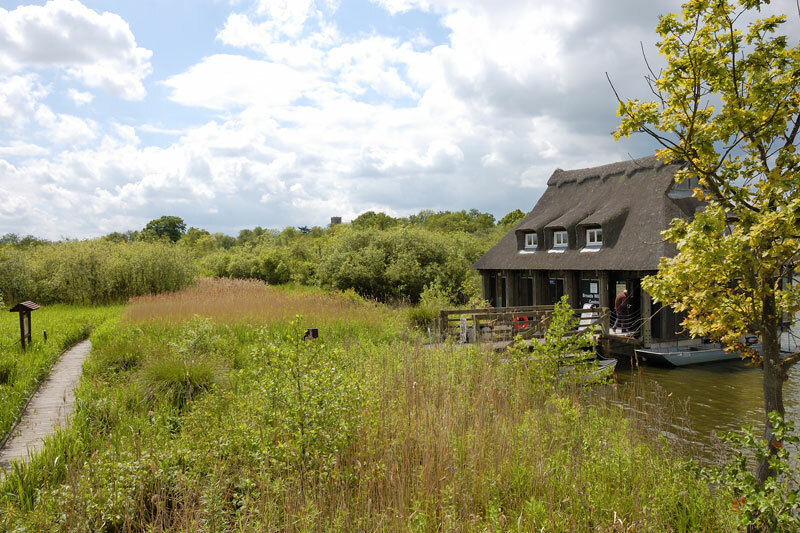 The thatched roof of the Norfolk Wildlife Trust’s visitor centre peeps out above the trees.